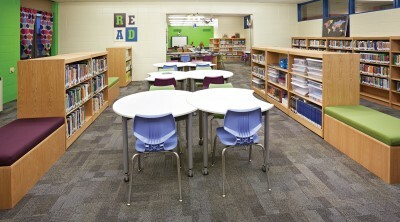 See how the Ann Antolini School Library is now a warm and welcoming place for students, parents and staff. 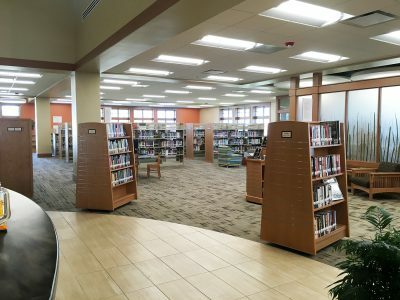 See how an expanded and refreshed library joined two spaces to create an aesthetically pleasing and fully functional design. 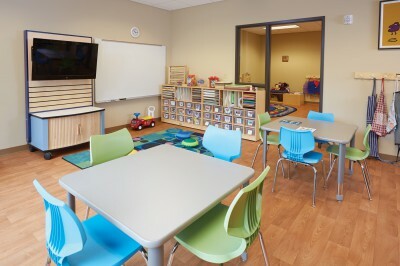 See how a collection of spaces allows children of all ages to “play, relax and feel safe” at a new domestic abuse shelter in Madison, WI. 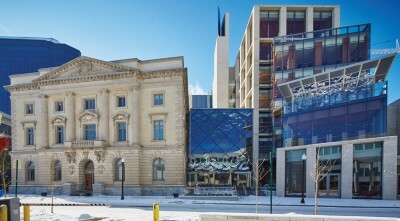 The new Slover Library repurposed a historic former customs house and added a modern six-story addition. 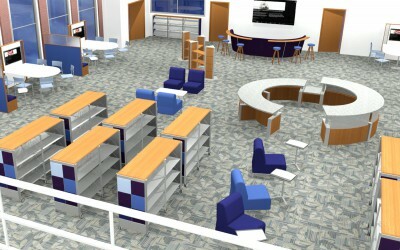 From a video gaming room to interactive digital displays, this library is moving forward. See the stunning results. 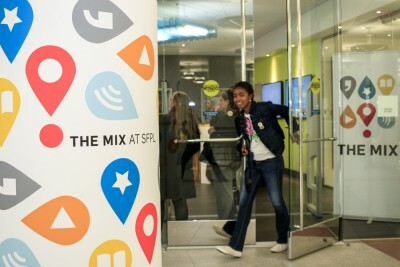 Find out what happened at the 2014 Library Journal Design Institute. 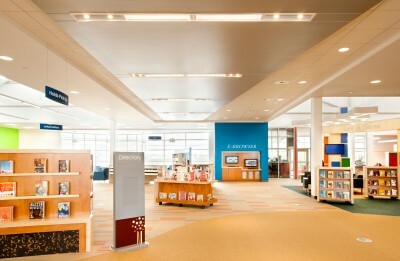 Get the top 5 takeaways you need for any library building or renovation project. 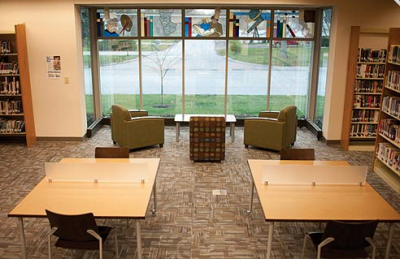 Get library decorating ideas right this minute. 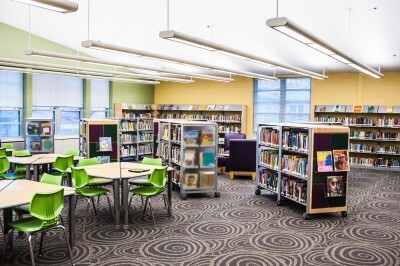 See how an elementary school library stuck in the 1960s underwent a dramatic interior design makeover to become a modern and light-filled space. 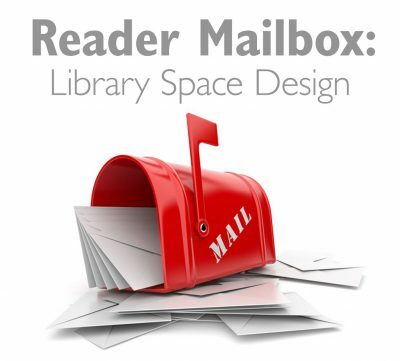 Your library space needs everything but a kitchen sink. How do you accomplish multiple renovation projects on a limited budget? Dan Meehan from HBM Architects gives you fresh approaches for reevaluating your layout, proposing changes and supporting your vision for the future. 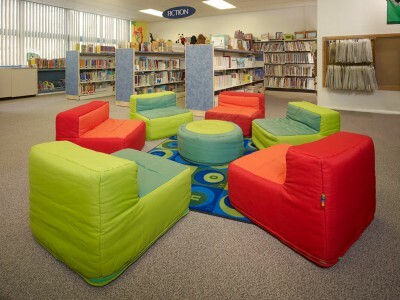 Want budget-friendly library design ideas? Assessing what you have, rearranging furniture and applying a little creativity can go a long way to refresh your library. 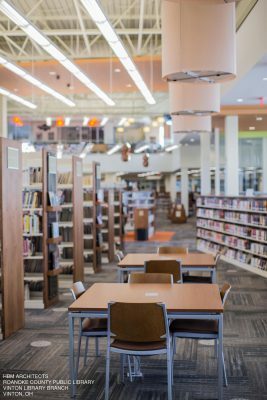 Guest bloggers, Dan Meehan and Renee Moldovansky with HBM Architects provide new insights into assessing the possibilities in your library. Execution of an interior space renovation is never seamless. However, after completing proper planning and taking several steps in the implementation process, you can feel confident to complete it as a DIY project. Beginning an interior renovation project can be an overwhelming endeavor that might seem impossible to complete as a DIY project. 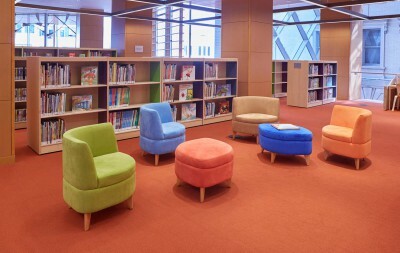 However, by following a series of simple steps, libraries can feel confident in making interior space changes that will meet the evolving needs of their customers. 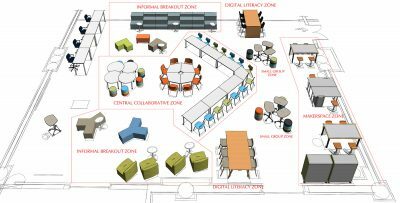 Hawthorne Elementary’s library was only 10 years old when they realized that if they wanted to stay relevant amidst rapid change, they needed to take a good look at their space, resources and what their students and faculty needed. It was time to refresh their space. 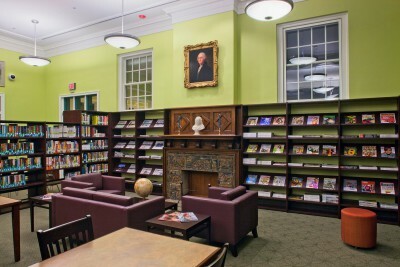 What does your dream library look like? 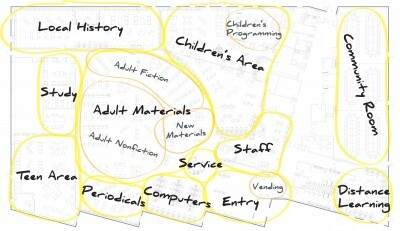 Tune into this webinar to find out how you can turn your library of tomorrow into your library of today. Smart design solutions, real-life renovation stories and tips on how to revamp existing spaces. 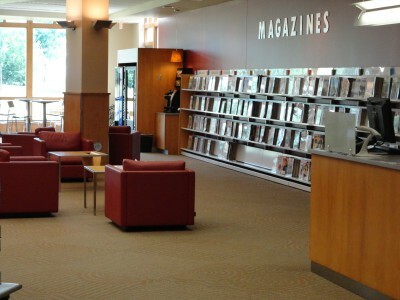 Undergoing a major remodel in 2009, the Poplar Creek Public Library worked with their existing 44,000-square foot building, more than doubling their space to 96,000 square feet with an addition, while keeping the needs and desires of their residents in mind. 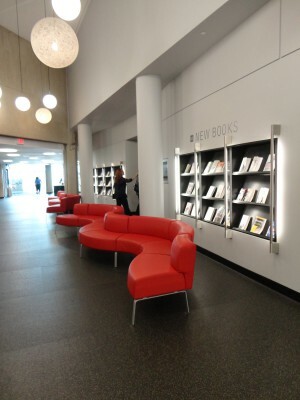 Though it is housed in a relatively new building (2002), the Ela Area Library continues to actively update their spaces and services to keep pace with the ever changing needs of their customers. 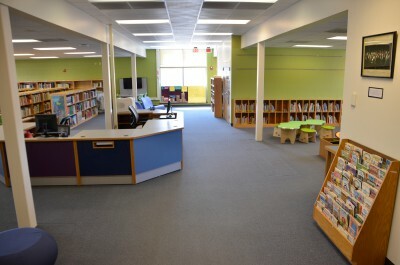 The Barclay School was built in the 1950s, and the most recent update to the library had taken place in 1993 when the carpet was replaced and the black steel shelving was painted white. 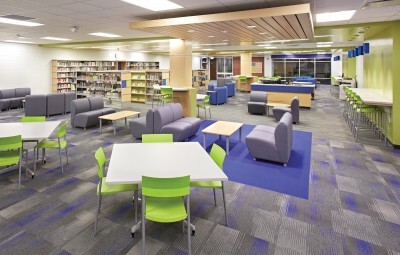 This project provided the DEMCO Interiors design team with the challenge of creating an inviting age- and size-appropriate library environment for the school’s second- and third-grade students on a small budget.